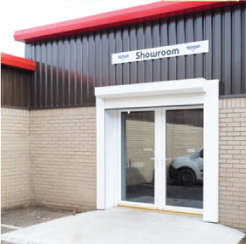 We like to think of ourselves as a product, and in order to make sure Tayside Garage Doors is the best product out there for you, we hold ourselves to a high standard and are proud of the number of services we offer to our customers. Here are just a few of the ways in which we go the extra mile. 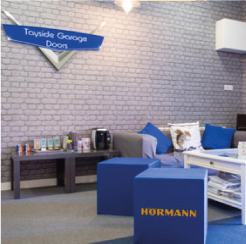 Why Choose Tayside Garage Doors? We are a Dundee Trusted Trader with a high average score of 9.6 out of 10. We would like 10 out of 10 so if you have any issues with the fit or the door call us and we can sort it out for you. We are always happy to hear from our customers. We care about our customers – we don’t just “fit and forget”. We pride ourselves in offering the best products from the best manufacturers in the industry; if they do not meet our high standards, they won’t be supplied by us. We offer a 2 year warranty on our fitting, so if you call us with any issues, and we fitted your door, you won’t have to pay our standard call-out fee! Not to mention if any parts are needed for your door they will most likely be covered under the manufacturer’s warranty! How many tradesmen will offer this level of service? We always listen to our customers, and so when we heard from some of you recently that paying all in one go can be tricky, we got our thinking caps on. Bearing in mind that Christmas can be a time for looking after the pennies as well, we came up with a new payment policy that will hopefully make things easier for everyone! From January 2015, instead of paying in one lump sum, we will now only request half of your payment at the start of the job, and half when we’re done! We treat our customers how we would like to be treated – with honesty and good communication. We offer one call-out charge for repairs, so should your repair take an hour, or three, it will still be that same price; we don’t charge an hourly rate. Again, how many tradesmen offer that? We DO NOT give our customers the hard sell. The price we give you will be our best price right from the start. We will not spend time convincing you to buy a garage door or any other product. We know buying a garage door or anything for your home is a considered purchase which is why we always send you a written quote after a site visit, allowing you to go over the options and the prices at your own pace. We always treat our customers as individuals. Your garage door requirements may not be the same as your neighbours, friends and relatives, and most garage door openings vary in size quite often, even from the house next door . One example for you is our friend who lives on a fairly new housing estate and got a dent in her garage door. It wasn’t too bad, but when her neighbour offered their garage door to replace it, she took them up on that offer; they were converting their garage into a kitchen so no longer needed the door. My husband, Michael, went round one Saturday, took the dented garage door off and went to replace it with the neighbour’s, only to find theirs was smaller! Houses built at the same time, by the same builder, right next door! Needless to say she still has a dent in her door today! We always ask what you use your garage for, be it a workshop, play room, for the car, a junk store etc. and how you hope to use it in the future, to try and gauge what door would suit you best. We would hate to sell you something you didn’t need or want. We are always happy to give advice where needed. 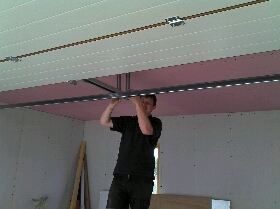 So if you are getting a new garage built we can advise your builder on how best to do the floor, to provide your garage door with the best chance of weather proofing. 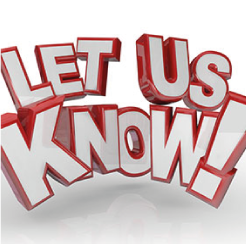 We are more than happy to speak to you and your builder about your garage door needs. Even just to make sure the opening is big enough to fit your car in! 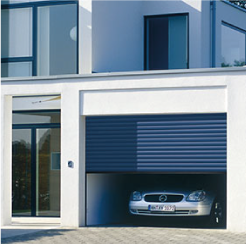 If you’re interested in a garage door, head on over to our Products page to see the full range on offer, including shutters, front and side doors, and spare parts. For more information on our services like garage door repairs, visit our Services page, or get in touch and we’ll do our best!